So you are looking for the Best Arabic IPTV Box to buy in Australia, New Zealand, Canada or the UK ? 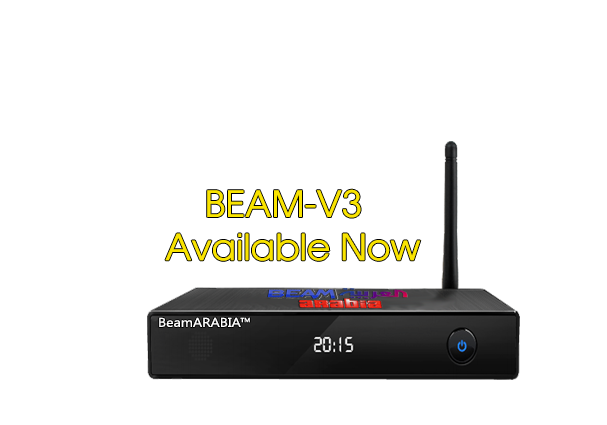 BeamARABIA has grown to become Australia’s most trusted and reputable Arabic TV Box supplier. Our sales are channeled through ‘word of mouth’ – Our company started in 2014 and has since grown with many retailers and stockists across Australia. This box has many improvements compared to our older V1 & V2 models, aswell as competitor’s devices. We have developed this box from the ground up to provide our customers with the best experience possible. Our older boxes were generic android boxes – Yes, we’re not going to lie – as are 99.9% of all ‘Arabic TV Box’ retailers and box sellers. The BeamARABIA V3 however is specially designed by us, for you. 8) Hassle-Free- If you ever have a problem with the box, or you lost some apps, you dont need to worry. You can simply perform a ‘factory reset’ which will bring the original media content back, and you will never lose any data. If you reset the new beamarabia box, you will never lose any apps or IPTV. We often get asked questions like “why is the BeamARABIA box more expensive”, or comments like “there’s an arabic box on gumtree for $190” – the answer is simple: you get what you pay for!